Gmail space becomes extra storage. Is there a better alternative to gDisk? Is gDisk really the best app in Internet Utilities category? Will gDisk work good on macOS 10.13.4? gDisk turns your GMail account into a portable hard drive. Create / Delete gDisk-specific labels. Upload / Download any file. Drag n' Drop files from / to Finder. gDisk can automatically check for software updates. 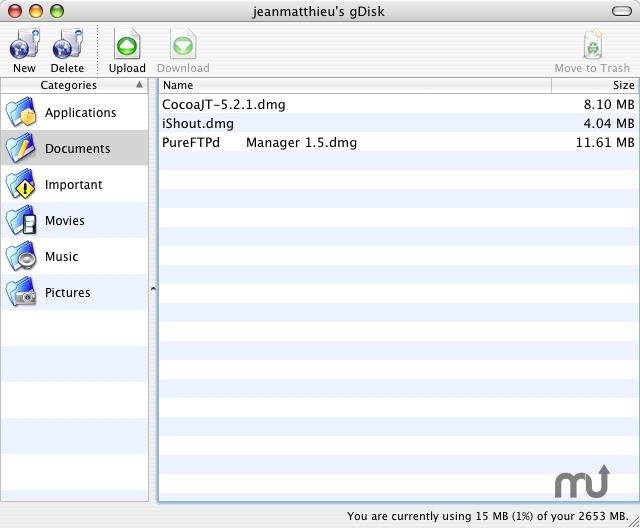 Disk is now compiled as a Universal Binary so it runs natively on all Mac. gDisk needs a rating. Be the first to rate this app and get the discussion started!